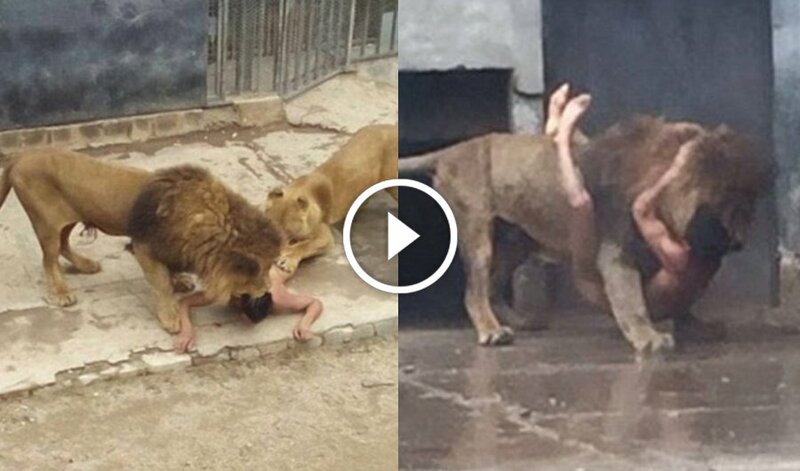 Home » »Unlabelled » Suicidal Man Strips Naked And Jumps Into Lion’s Cage, Ends In Tragedy.. Suicidal Man Strips Naked And Jumps Into Lion’s Cage, Ends In Tragedy..
We believe that this person entered as a visitor and paid for his ticket. Later he trespassed into an area where the public are not normally allowed and we understand that he forced the roof of the lion’s enclosure. It was from there that he jumped, took off his clothes and started to attract the lions. Meanwhile, Metropolitan Park director Mauricio Fabry confirmed that a suicide note was found in the man’s clothing. It is just sad that they had to put those lions down just for the sake of a man who clearly wanted to die. Lions aren’t always that ferocious, unless we provoked them to be. In this case it is clear who’s at fault. Let us know your thoughts by commenting below.